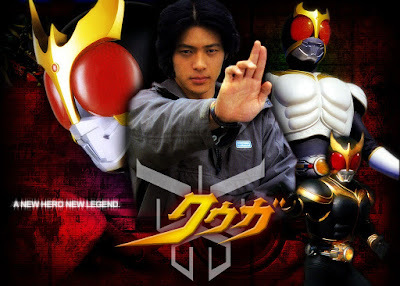 Kamen Rider Agito: An Entire Season of Woven Mysteries, Conflicts and Complex Plots! Three times the charm.. before Inoue practically undid himself in Kamen Rider Faiz! 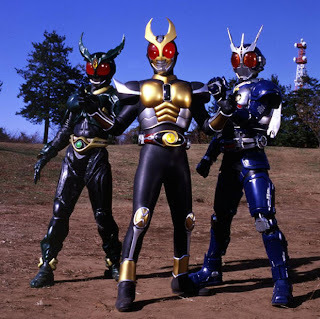 After the success of Kamen Rider Kuuga, Kamen Rider Agito became the second Heisei Kamen Rider era. Kuuga provided the framework, now it was time for yet another show that would try to return a lot of stuff. Yet part of it was very atypical and part of it was typical with how the show ran from start to end. The style of Agito is a show that has a lot of woven mysteries, conflicts and complex plots. Kamen Rider Kuuga: An Ambitious Remodeling of Kamen Rider! Kamen Rider Kuuga in itself was a huge ambitious attempt to remodel the Kamen Rider franchise. Back in the late 80s, Kamen Rider had one success followed by a lesser success. Kamen Rider Black was so successful that it had a much less successful sequel in Kamen Rider Black RX which ended in September 24, 1989. After Black RX, the Kamen Rider series somewhat came to a close. Only specials like ZO, J and Shin Kamen Rider came but no Kamen Rider series came in. Kamen Rider came to a close for a time being. On 1998, Shotaro Ishinomori also died. Wishful Thinking: Loving Never Forgetting Should Have Been Set in 1940s! The more I watched "Loving Never Forgetting", it felt like your traditional Qiong Yao drama with Jerry Yan as Qin Han 2.0. Aside from my previous wish that Esther Liu were Wu Tong (she's a Liu Xue Hua 2.0), I think the story should have been in the 40s Shanghai. So why did I think of setting the series in the 1940s? You have to consider that Wu Tong's character is something you can't find in today's China where women already know their rights, were all girls are allowed and women have a choice. Wu Tong feels like your typical Qiong Yao protagonist - she suffers for some time for the sake of love. She is always crying and overly martyr type. Her typical scenario of being the overly martyr type would be more typical in 1940s China than in the contemporary setting it was in. Wishful Thinking: Who Should Have Been Wu Tong in "Loving Never Forgetting"
While watching "Loving Never Forgetting" I really had problems with Wu Tong's actress Tong Liya. While Jerry Yan certainly can carry Qin Han's charm to the point my aunt calls him "Qin Han Jr.", Tong Liya just doesn't have the similar charm of Qin Han's leading ladies. Knowing Barbie Xu may have retired from acting (she and Jerry Yan met each other again like Qin Han was reunited with Brigitte Lin)... now here's my possible picks. Esther Liu would have made a much stronger Wu Tong. Why is that? Even in Westside Story when she was underaged, she can freaking act! Whether you need a comedic or dramatic scene, she can do it. Aside from the Liu, she might be the best replacement for Liu Xuehua in playing leading lady roles. I guess she can act every Qiong Yao character assigned to her. Their age gap is 11 years (Qin Han and Liu Xue Hua were 13 years apart), it can work in a chemistry. Maybe one reason why Dolphin Bay is a hard rewatch was because, personal life kicked in. I could relate to Xiaogang except I'm no musical genius. Like Xiaogang I had to face an annoying foil, I fell for a cute mouse-like girl, played around with certain girls in fickleness and had a rival with a guy who looks like Xerya minus all the drama. While the girl was a well-to-do girl girl and she was no love child but her mouse-like features always got me like how Tianbian's did to Xiaogang. She's wasn't pretty but I was really deeply into her. She wasn't pretty nor appealing but her kindness caught my heart. But at the same time, I always had my "sad love story" excuse. At the same time, I started treating her better because she was so innocent, how could I mistreat her further? She had indirectly showed me that my irrational outlook towards the opposite gender was wrong. Then I started to fall for her but it never worked out.